So last week, I was talking about how ComComedy had opened up my eyes to a new acts in the industry, however, whilst it introduced me to new acts my interest in stand up was sort of developing when i was University. At University, I didn’t go to the student comedy nights that were cheap with lots of acts, no I was too much of a snob for them or wasn’t particularly interested. Instead I used to go and see big comedy acts at the local concert venue. Since university, I have been to big gigs, small ones, work in progress shows and everything else in between, some good, some great some awful and I go to more even more so now since starting this comedy blog back in June 2015. So, this week I am going to give you a Top ten run down of some of the acts that I have seen that have been my favourite in no particular order. I have seen Jimmy Carr twice – once back in 2009 in Bournemouth and last October at the Newcastle City Hall, both times I have seen him live he has made me laugh non stop with his quick with. The one thing I loved about his show in Newcastle was that he would retaliate to the hecklers with a Geordie accent which i found utterly hilarious because it was something i never experience down south. This was a fantastic show that I waked away admiring the comedian even more. It was so funny like all of Lee Evans stuff and was so high of energy it made me very grateful that I got the opportunity to see him live before he retired. He stayed on stage at the end as well to shake the hands of every one near the front. I am glad i travelled to Brighton to go and see him and to get front (ish) row seats. I was going down to Bournemouth to visit a friend and noticed just before i got on the train that there was a show of Greg Davies that night and I asked her last minute if she wanted to go. I phoned up the venue and there were luckily 2 tickets left and so i booked them and we went to the show as soon as I arrived down south. I went in not really know what to expect as I had only seen Greg Davies in The Inbetweeners then and didn’t really know what his stand up was going to be like. It was very funny and it was a really enjoyable evening. Russell Howard is another comedian that I have seen two times and I have seen in him the most random events (it should of been three times but Russell Howards Good News over ticketed the event and i missed out by a queue of 500 people). The first time i saw Russell was at the beginning of February of 2015 when he was doing small location gigs to see if the concept for Comedy Centrals Stand Up Central would work. He did a bit of a stand up routine and then answered the audiences questions. The next time i saw him was 3 weeks later with another friend. I felt bad as he was a big fan of him and hadn’t taken him to the show prior so instead we saw him at a charity event in Clapham Junction where he did a proper stand up routine and then tried to auction of a costume from Good News and ended up having to pay £400 out of his own pocket by mistake. 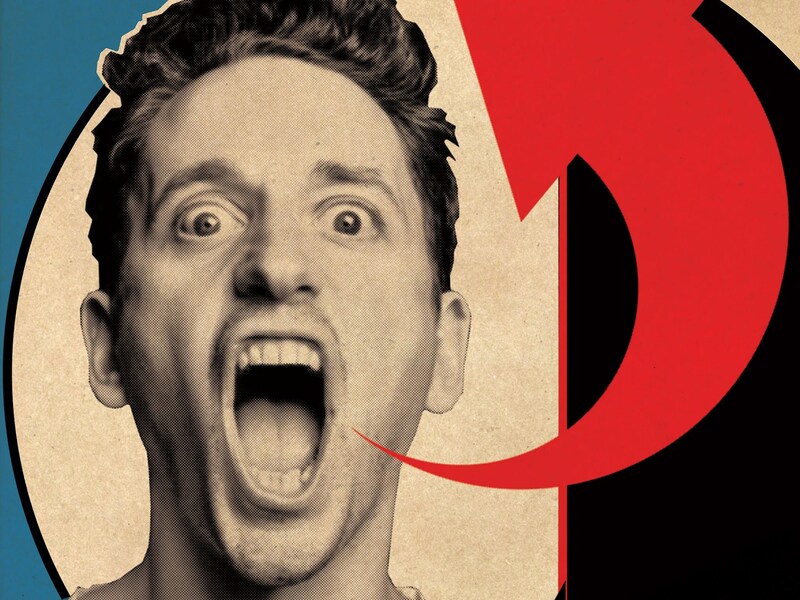 After being a PCD for a while (Podcast Devotee for those who do not listen to the Elis and John Radio X show) I felt that it would be a great time to see one of them live and since John Robins was plying the Stand in Newcastle in his first tour date of the NE i thought it was only right I went and saw him in action. He was really entertaining to watch and had a great vibe for a small audience and venue. It was a night of laughter and great anecdotes. I have spoken about this is previous posts about seeing Daniel at the Comcomedy nights at the Queen of Hoxton, but felt that he needed a mention again in this top 10 as he was so unique as a comedian and hadn’t seen anything like him before. My friend ended up getting two tickets for her birthday for this tour and asked me if i wanted to come which i was very excited about. It was such a funny show and I think i preferred it to the Ricky Gervais stand up show that I had seen a few years before. It was very funny and I am looking forward to him doing more tours. Michael McIntyre is another comedian that I have seen in weird ways and not in a stadium, i think i have seen him about three or four times now and all have been in audiences of less then 400 people. The first time was an hour show he did for a fiver at the The Pleasance in London to test out material for his new stadium tour. The other times have been the dry run of his chat show and also the live version too. He is a naturally funny man and really enjoy being in an audience when he is in the room. Out of all the scenarios I have mentioned above these two are the weirdest situation i have ever seen great comedians. They were headline of a comedy night and weirdly ended up as the first two acts. The otehr acts were so awful we walked out at the end of part one. Nish and James both excelled and also reached my expectations i have always liked them from listening to the Josh Widdicombe show on XFM and seeing them live was something i was really looking forward to. They both made me laugh a lot and have a great time – unfortunately the actual night / comedy event ruined my experience again and I am looking forward to the next time i get to see these guys live in a better scenario.